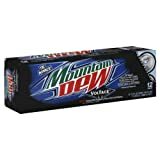 Mountain Dew Voltage is charged with raspberry citrus flavor and ginseng. 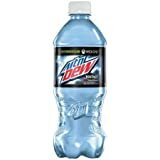 Despite its powerful sounding name, Voltage only has slightly more caffeine than regular Mountain Dew. 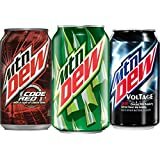 How Does Mountain Dew Voltage Compare? 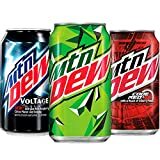 Mountain Dew Voltage contains 4.58 mgs of caffeine per fluid ounce (15.50mg/100 ml).